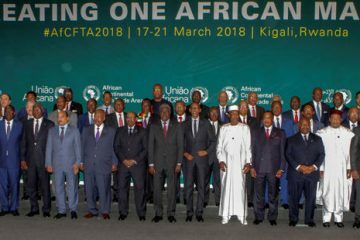 On the occasion of the International Conference on the emergence of Africa held in Dakar, Omar Cissé, head of the InTouch group, has been entrusted with the “Africa Point” on the issues of the sector of the finch to the a time when many young companies are looking to attract investors. His cell phone keeps ringing, he’s just coming out of a “conf ‘call”, Omar Cissé is a very busy man. At the opposite end of the InTouch Group’s doorway, his office has everything from a business owner to an oversized table for big appointments. At 41 years old, this father of four has already created several structures. 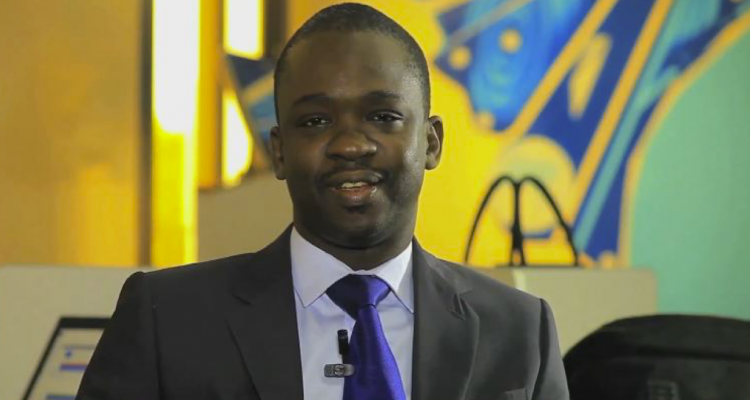 Having just graduated from the prestigious Ecole Polytechnique de Dakar in 2010, the creation of his first software engineering company, 2SI, quickly enabled him to get noticed in the job market. In fact: he will be an entrepreneur. In turn, Senegal’s first incubator, the Dakar ICTC, is in full swing, followed by Teranga Capital, an investment fund aimed at local start-ups. Insatiable, he continues and in 2014 founded InTouch Group which definitely makes him one of the bosses who matter most in Dakar. Indeed, before its solution, the interoperability between the operators not being available, the traders and the shopkeepers were obliged to equip themselves with several mobile phones to be able to manage the offers of services of transfers of money and mobile money . InTouch found the solution by marketing a universal aggregator allowing merchants to accept different types of payment methods, from cash to electronic money to credit and debit cards. In 2017, the French Total and Worldwide (electronic payments) even invested 3.7 million euros in the start-up of Omar Cissé. A fine observer of the world of start-ups and fintech, Omar Cissé takes a critical look at his country’s lack of a favorable ecosystem and a political vision affirmed by the state. He spoke to Africa Point. Le Point Afrique: You are an example for many Senegalese entrepreneurs. What have you done more than others? How to explain your success? Omar Cissé: To create a business, one must first observe society, and want to solve problems. InTouch is launched in November 2015 following several observations. The first is that there are 700 million mobile customers in Africa, and many digital services (payment of water and electricity bills, purchase of telephone credit) are developing to satisfy the 300 million currency accounts on the continent. It is therefore a buoyant sector. Then, I observed the consequences of the multiplicity of players competing for the electronic money market in Senegal. There are about fifteen: Orange Money, Wari, Tigo Cash, etc. As a result, the shopkeepers who use them have enormous difficulties managing all these partners: multiple contracts, payment terminals specific to each, etc. InTouch integrates all these players into a single platform, with a single contract, a single terminal and a single account where all electronic currencies can be used. In 2017, you managed to make the biggest fundraising operation for a technological start-up never made in French-speaking Africa. You are about to do a second in the next few months. What do the lenders want? How much do you hope this time? We will soon be raising new funds, but our two partners, the French oil group Total and the electronic payment specialist Woldline (a subsidiary of Atos), do not want to reveal the numbers. In any case, it will be much more than in 2017. This was possible because we did not seek only financial partners, but also strategic partners. Our first investor, Total, is also our first client. He was offered an offer for the use of e-money in his gas stations, and the company realized that our offer took a lot of space in their numbers. Very clearly, Total wants to position itself in the market for the use of digital services. This is even one of their strong strategic focuses. For this, Total wanted us to extend our offer to the 38 countries in which they operate in Africa. That’s why they invested in our structure. Today, we are in seven countries: Senegal, Ivory Coast, Mali, Burkina Faso, Guinea, Kenya and Cameroon. In two months, we are going to Morocco. There are excellent conditions in Dakar for the development of start-ups (good internet connection, incubators, investment funds). Why their development does not explode in Senegal as is the case in Kenya for example? Senegal is a land where many start-ups are born compared to our neighbors in West Africa, we do not have to blush on that side. What we lack is the ecosystem that would allow the expansion of these start-ups. They are born, but do not get fat, or even disappear if they are not helped at priming. In Senegal, there are incubators like Jokkolabs, CTIC Dakar, but they are not strong enough. It is necessary to succeed in creating an ecosystem that feeds itself: strong companies help big shots at start-ups, through incubators for example; and when they become strong, they finance the incubator that made them grow. Except that Senegal lacks strong companies to help start-ups to become technology champions. The only ones are the operators Orange and Tigo, and as long as they do not see the interest to put big means in the development of the start-up, nothing will happen. In Kenya, M-Pesa (Kenyan e-money) exploded, as at one point the operator Safaricom agreed to provide developers with an interface to democratize the M-Pesa. Thanks to it electronic money and start-ups have been developed. In 2012, M-Pesa in Kenya accounted for 76-80% of Africa’s e-commerce. In 2018, it represents less than 50%, and in parallel, West Africa accounts for 36%. This is happening gradually in West Africa. Does the state not have a role to play in the development of technologies? It is clear that the private sector can not succeed on its own. If Rwanda is growing rapidly, it is because state policy in the field is clearly asserted. Kagame goes to get Ali Baba, the Chinese giant of e-commerce, and makes sure to make available to him the conditions necessary for its development. It is still he who will negotiate an optical fiber and ensure that it is served everywhere, etc. This political will is extremely important. 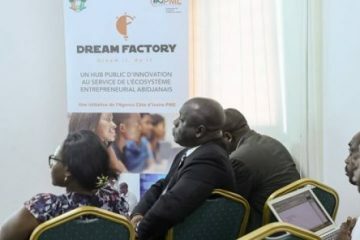 There have been some strong acts by the state in Senegal: the promise of a Digital Technology Park (TNP) with tax cuts in the new city of Diamniadio by 2020-2021; the financing of technological start-ups up to a billion CFA francs through the Rapid Entrepreneurship Delegation (DER), which had never been done. But the state lacks a strong political vision that would bring Senegalese champions of technologies to the scale of Africa. We can not be satisfied with the two multinationals Orange and Tigo. Senegal must have its own champions. Many business leaders complain that they do not find the skills that meet the needs of their businesses among young Senegalese graduates. How to solve this problem of maladjustment between the diplomas distributed and the real needs of the market? At InTouch, we have no problem hiring, especially since we have a strong diaspora. Those who leave to train in Europe are returning more and more. But more broadly, when it comes to training, the state is not the only one to fail. Companies must also strongly contribute. At MIT, companies are the main financiers, they invest in research and benefit from it. For Senegal, we come back to the problem already mentioned above: the weakness of our businesses. InTouch is still too weak, but the day the company is strong, it will invest in training, it’s obvious! Is Africa doubling Europe in innovation? It would be very pretentious to say so. But it is certain that the “leapfrogging”, that is to say the progress by leaps, will be more and more. The development of mobile money is a concrete proof of this. But the most interesting is that we see emerging solutions to purely African problems. For a long time, the countries of the North brought us innovations that were not always adapted to our needs. Our development was limited because we did not innovate. E-money has emerged because the African does not have access to the bank, credit. It is in this sense that we must continue to walk. What will be the next “leapfrogging”? The digital bank, no doubt. I think it will unfold in an incredible way, certainly via telephone operators and pureplayers, specialists in the field who propose a disruptive offer completely different, digitized, where Big Data is a major stake. They will have access to your WhatsApp, to your Facebook, will analyze from this data what kind of customer you are, and decide whether or not they offer you a credit. This is the kind of thing that happens in Africa. The continent becomes an interesting land and the Gafa understand it. Ali Baba starts to enter, Amazon works there.